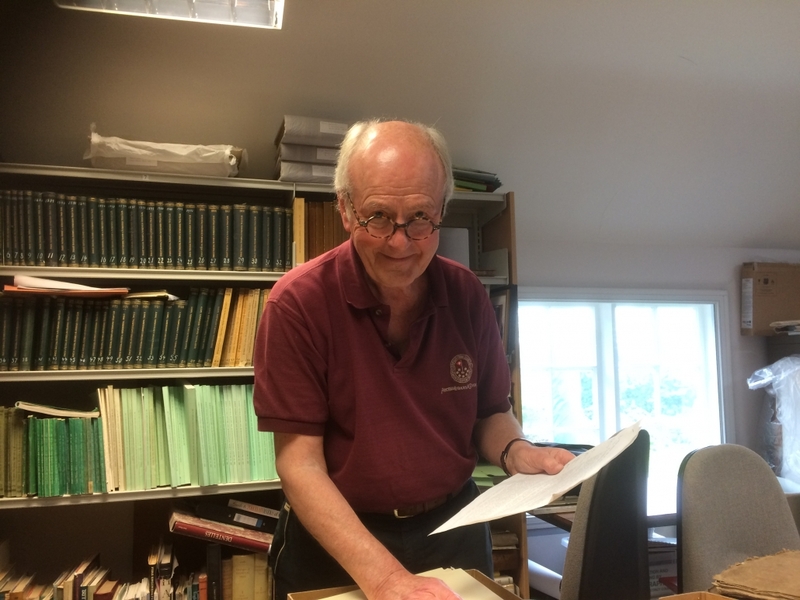 Former Lord Mayor of London Sir John Stuttard (above) has, with the assistance of Gold Hill Museum Librarian and Archivist Ray Simpson, written a biography of prominent early nineteenth century Shastonian John Rutter. Originally from Bristol, Rutter set up a printing and publishing business in The Commons, Shaftesbury, producing local historical and topographical guides. As a Quaker and a Whig sympathiser, Rutter was viewed with some suspicion by the Grosvenor connection which dominated local politics. In an age with a very limited male electorate and no secret ballot, it was easy for powerful landowners like the Grosvenors to dictate the outcome of Council and Parliamentary elections. Not to vote for a Grosvenor candidate was to risk eviction. Shaftesbury, with two MPs before 1832, was a typical pocket borough. In opposing Grosvenor influence and advocating Reform, John Rutter encountered a great deal of hostility and was nicknamed the “Turbulent Quaker.” As part of Shaftesbury Civic Society’s Civic Day on Thursday 21 June at 3.30p.m. in the Garden Room, Sir John Stuttard will be keynote speaker at a free EqualiTeas event. S&DHS Members Enjoy Privilege Visit to Wells Could You Be The Next Chairperson at Gold Hill Museum?